We all need an uplift from time to time, and author Ed McShane in his book “Notes For The Heart” certainly provides that positive vibe. In his book which is a series of true stories and short essays, Ed conveys the message of hope, love and encouragement. In these challenging times a book like Ed’s is a great resource and inspiration. 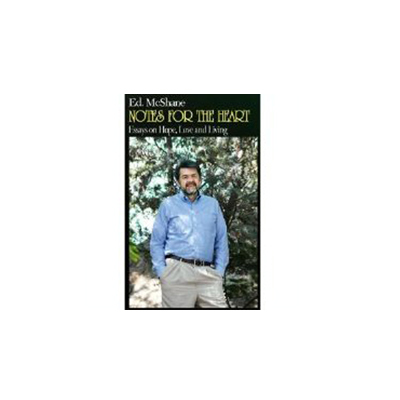 Ed confided in me that as a professional therapists his vocation is challenging, and that writing “Notes For The Heart” allowed him to tell uplifting and inspiring stories to heal the heart and soul. In my interview with Ed we speak about many true stories taken from his life. One story that touched my heart was about an elderly gentleman that as Ed explains was in his mid to late 80’s. Ed would drive to work and everyday he would see this man on the street corner in his white shirt waving to the passing traffic. Ed was amazed that not only did he attract the attention of the passersby but almost everyone would wave back including Ed. The elderly gentleman was on the corner for a length period of time, and always brought a smile to faces of the people who he waved to. Then one day this elderly gentleman was not present as he usually was waving to the passerby’s. Ed wondered what has happened. Had he fallen ill, or had he died. This went on for sometime, but Ed never did find what had happened to the elderly gentleman. He to this day regrets that he did not take the time to check on him. Knowing that the passerby’s on this corner were use to the elderly greeter, Ed being courageous and having lots of moxie Ed decided to dress up in a white shirt and play the greeter role of the elderly gentleman. He admitted it was scary and uncomfortable for him standing on the corner in his white shirt waving, but the response to his waving was responded to just as if the elderly gentleman had never left, he received smiles and encouraging waves back. I don’t know about you, but I have experienced many times when a person has waved to me from the side of the street. Most of the time I think they are crazy and should be institutionalized or need help. If I were to shift my perspective and not judge, just maybe I could experience the moment for really what it is–a beautiful soul attempting to bring a moment of happiness into my life. Ed’s book “Notes For The Heart” is filed with great inspiring stories just like this. If you are down, and need to lift yourself back up–then pick up Ed’s book and read some of the inspiring stories. For more information about Ed McShane please click here to be directed to his Facebook page. 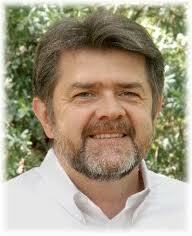 Enjoy this great interview with author Ed McShane.